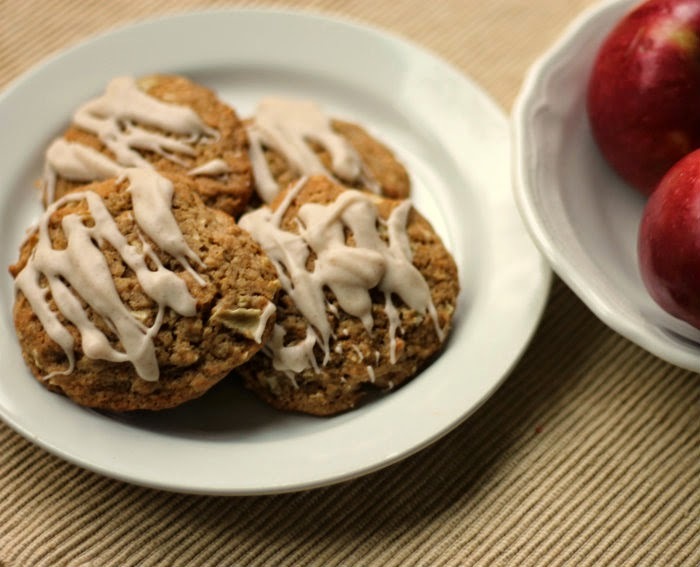 I love the name of these cookies Apple Doodle Cookies as much as I love the flavor. I was looking for a different type of cookie. I thought about snicker doodles, since I have never made them before, at least I don’t think I have. But I wanted cookies with apples in them, don’t ask me why. Well maybe it just seems like ages ago since I baked anything with apples and I was craving something sweet with apples. 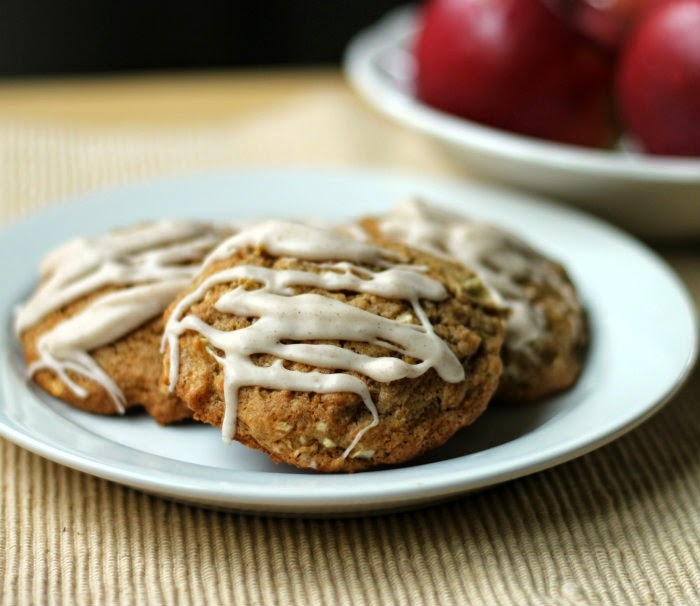 I found this recipe called apple doodles; the name of the recipe caught my attention. It had the apples that I wanted and it sounded like something my family would enjoy. I decided to change things around a bit, with a little icing and a couple of other things. The cookies were a big hit with my family; they were gone in no time. 2. In a large bowl, cream butter and white sugar, and brown sugar with an electric mixer until light and fluffy. 3. Beat in egg and vanilla. Combine the flour, cinnamon, baking powder, baking soda, and salt, add to the cream mixture and mix until well blended. 4. Add the apples and mix until well blended. 5. Drop by teaspoons about 3 inches apart on a light greased baking sheet. 7. While the cookies are baking make you icing. Add the powder sugar and cinnamon to a medium bowl and mix together. Add enough cream or milk to make it a consistency to drizzle over cookies. Add 1 teaspoon at a time. Beat until icing is smooth. 8. Once cookies are cooled. drizzle with icing. I wouldn’t say no to apples in my cookies! These sound delicious! I love apples baked into breakfasts and desserts. Never had them in cookies before, bet I’d love them (and so would hubs). Looks like a delicious cookie for a good cup of coffee.. 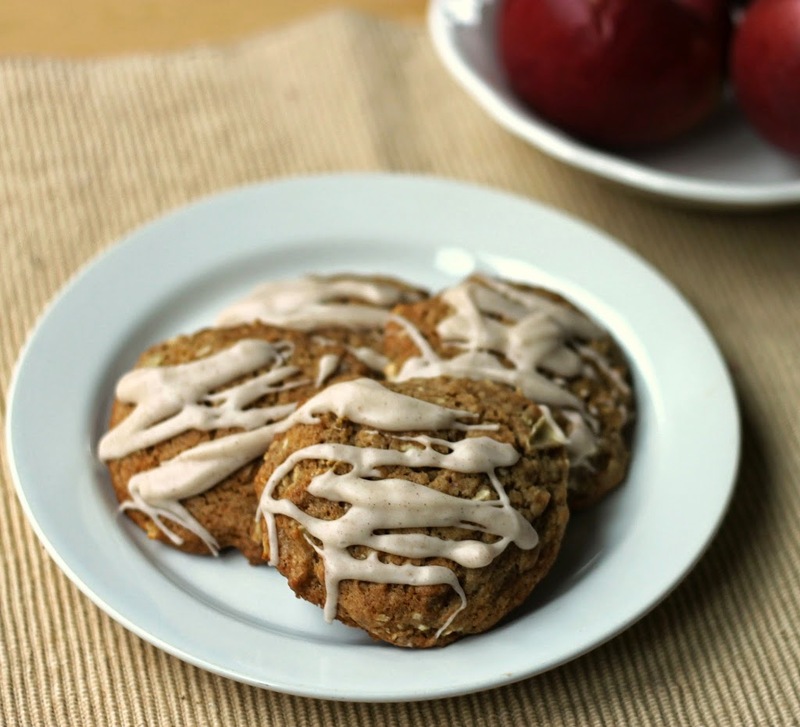 These look great – I’ll have to remember when I’m looking for recipes after apple picking this year!